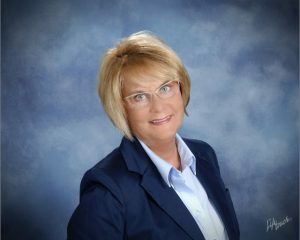 Vicki is in her second term as Jeffersonville First City Clerk. She is a member of the Indiana League of Municipal Clerk & Treasurers (ILMCT), ILMCT Legislative Committee , Executive Committee and Resolution Chairperson for the Indiana League of Municipal Clerk & Treasurers (ILMCT), AIM Administrative Policy Committee. Board Member Community Action Southern Indiana. Click here for the Request for Public Records form. Submit claims in the Common Council Budget for Property and Casualty premiums and claims, Health Insurance premiums. Accept closed BIDS for Departments throughout the City for Purchasing of Equipment, Buildings and Sites, Paving etc. Serve as clerk of the city legislative body under IC 36-4-6-9 and maintain custody of its records. Maintain all records required by law. As soon as a successor is elected and qualified, deliver to the successor all the records and property of the clerk’s office. Perform other duties prescribed by law. Administer oaths when necessary in the discharge of the clerk’s duties, without charging a fee. Take depositions, without charging a fee. Take acknowledgement of instruments that are required by statute to be acknowledged, without charging a fee. Serve as clerk of the city court under IC 33-35-3-2, if the judge of the court does not serve as clerk of the court or appoint a clerk of the court under IC 33-35-3-1.